ProCraft Cabinetry is quickly becoming a major player in the cabinets distribution industry. Our extensive experience as a cabinet manufacturer extends back 40 years. 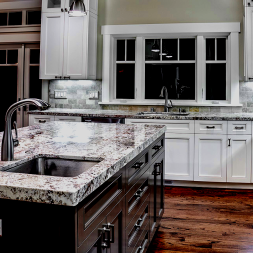 We have grown into a major international cabinet supplier within the kitchen and bath industry. As a major supplier, we are able to bring you kitchen and bath cabinets of exceptional quality for a price that cannot be matched elsewhere. Located in China, it spans more than eight million square feet and houses state-of-the-art equipment imported from Germany and Italy. We are proud of our production capacity of 1,500 full containers per year. Located in Nashville, Tennessee, 0ur warehouse allows for more than 100,000 square feet of inventory storage space. Not only do we offer the readiness of stock inventory but we also provide the opportunity for large container orders.